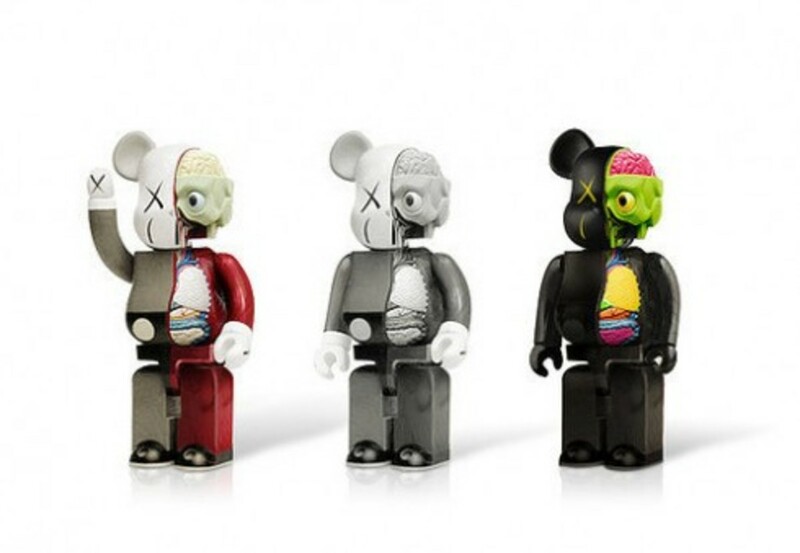 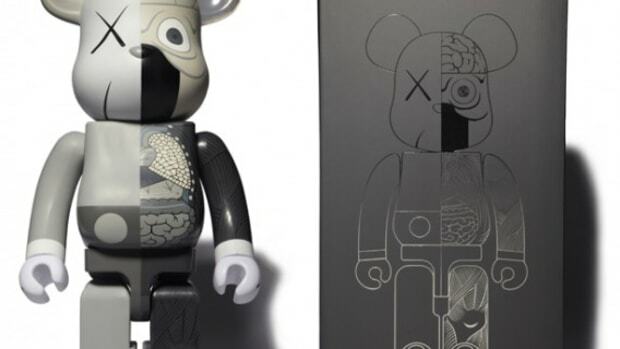 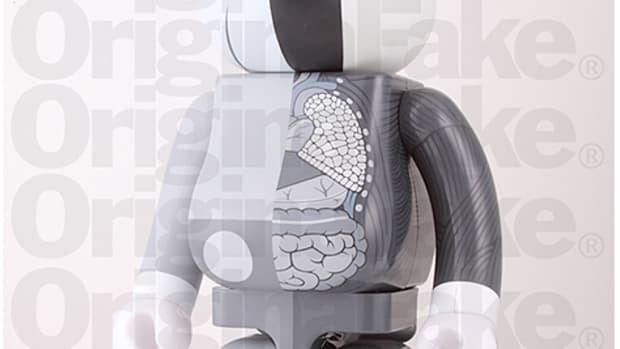 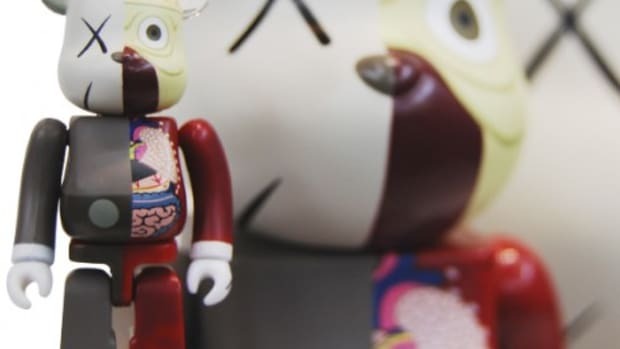 While the OriginalFake x MEDICOM TOY CO. BE@RBRICK is slated for release this upcoming weekend at the OriginalFake store in Japan as well as INVINCIBLE in Taiwan, it looks like the two brands have collaborated again on another set of Dissected BE@RBRICKs in three colorways including the colorway that is being used on the non-dissected version as well as two new colorways of Black and Grey (Tonal). 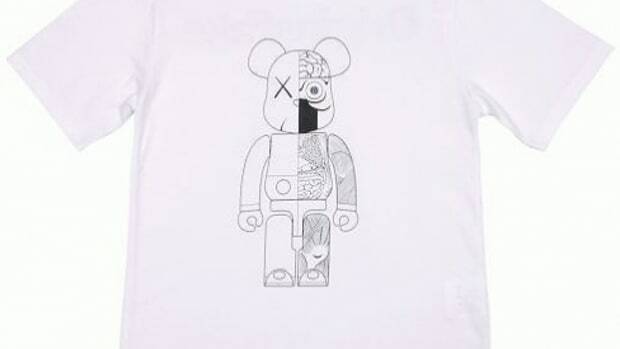 No word on a release or if this is even coming out, but stay tuned for more information. 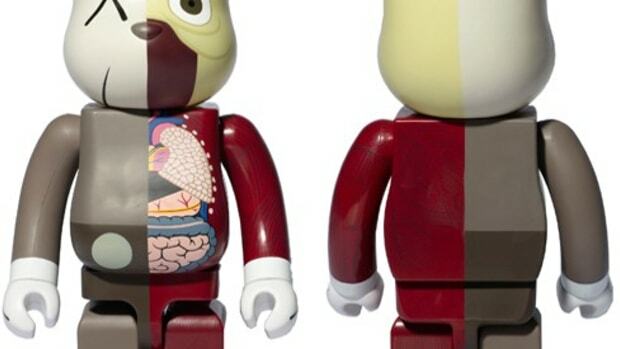 Freshness have confirmed from MEDICOM TOY CO. that this is not a real product.